How are ATEX products different to other products? Most electrical/electronic products have to achieve some, EU directives. One of the main purposes of these directives will be for safety. So a product will be tested by the manufacturer or an external test company to see that the product achieves the requirements of the European standards. In the Europe Union these tests can be carried out by companies known as Notified bodies. If the equipment passes all the required standards tests the equipment achieves the relevant directive. The product can be marked with a CE mark. 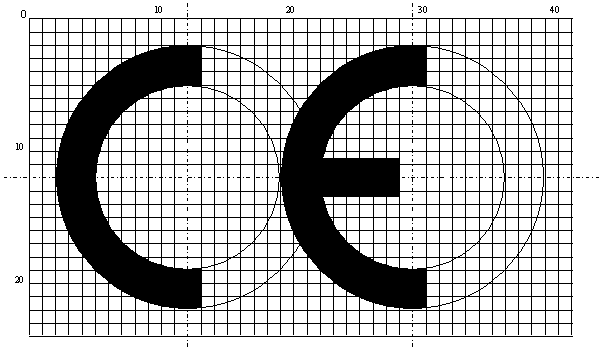 CE marking applies to products, ranging from electrical equipment to toys and from civil explosives to medical devices. When a manufacturer builds, tests then places the product on the market they must also mark the product and produce a declaration to say they have achieved the requirements of the directives as well as instruction on the products safe use and maintenance. 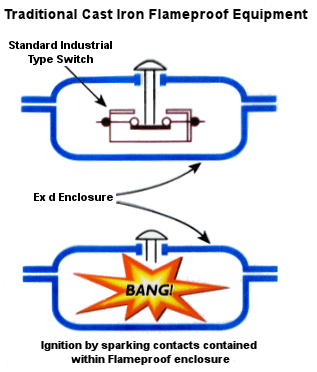 Flameproof enclosure “d” is defined as an enclosure in which the parts which can ignite an explosive gas atmosphere are placed, and which can withstand the pressure developed during an internal explosion of an explosive mixture, and which prevents the transmission of the explosion to the explosive gas atmosphere surrounding the enclosure. This type of protection is very special and will help protect the explosive atmosphere from an explosion to a high level, if the equipment is installed and maintained correctly. The ATEX directive above requires different levels of protection, as a hazardous area can have different risks of a hazardous atmosphere being present. Simply, the more likely that a hazardous atmosphere is present the higher level protection you would want to fit. Therefore to keep in line with the EU directives, once manufactured the equipment will be tested to the appropriate standard EN 60079 to achieve the ATEX directive safety requirements. When this is completed successfully the product will be certified and can be identified with a marks shown in the ATEX directive. 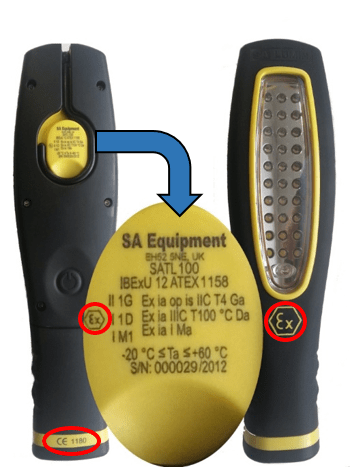 When we see equipment marked with something like the label here we can be confident the equipment manufacturer, has met the requirements of the relevant directives including ATEX and that the equipment is safe for use in the appropriate hazardous area. This then means that people using this type of equipment should be competent to use and maintain it safely. Information will be issued by the manufacturer to the user of the equipment. It is then the users job to work with the equipment correctly according to the manufacturers recommendations and general principles for its use. If the equipment is not used properly this may invalidate the declaration issued along with the equipment by the manufacturer. Reading the instructions for use can help keep safe the equipment and the persons using the equipment in a hazardous atmosphere.